As if the Chiefs season wasn’t bad enough, Sunday at home to the Raiders they may have hit rock bottom. 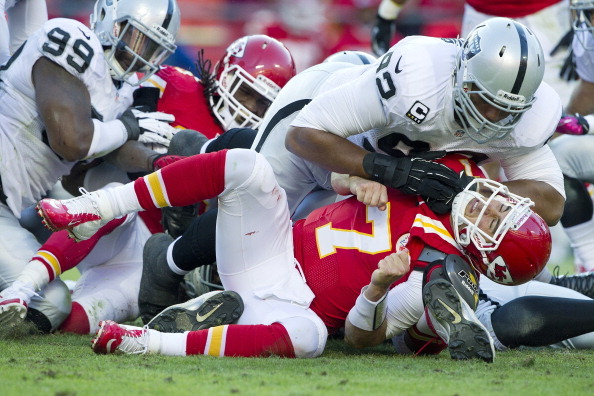 The now 1-6 Chiefs lost to the Raiders 26-16, and it wasn’t as close as the score indicated. Kansas City set a record Sunday, and not one that any team would want in the loss. The record is that the Chiefs haven’t led in regulation this season, the first time since at least 1940 that a team’s gone this long without a lead, according to STATS LLC. Quinn had started his second straight game even though Cassel was cleared to play following his own concussion sustained three weeks ago against Baltimore. 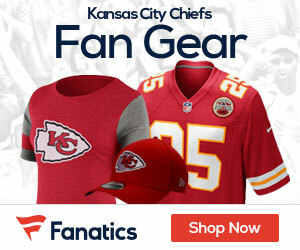 The Chiefs committed four turnovers to run their league-leading total to 25, and their fourth-quarter touchdown was the first by the offense since September 30th against San Diego. Jamaal Charles, their biggest offensive weapon, carried only five times for 4 yards. Why did Charles have so few attempts? ”Now, that I’m not exactly sure, either,” Crennel said. Down 13-6 at the half, Cassel fumbled the snap on the first play of the third quarter and the Raiders’ Tommy Kelly recovered it, but Oakland couldn’t manage anything in three plays – two of them woeful throws by Oakland QB Carson Palmer. The Raiders had to settle for a 29-yard field goal by Sebastian Janikowski. Ryan Succop added a 52-yarder later in the quarter to get the Chiefs within a touchdown, but Oakland answered by going 80 yards in just six plays for another score. Palmer picked on Routt the whole way, and his 36-yard touchdown pass to Heyward-Bey gave the Raiders a 23-9 lead. How bad were things going for Kansas City? Janikowski finally missed a field goal in the fourth quarter, only for Jalil Brown to be called offside on the play. Janikowski knocked through the redo with 8:14 left to put the game away. The Chiefs have little time to think about the loss, as they will head to San Diego to play the Chargers on Thursday night.